From blockers to pads, Pro Stock Hockey carries all of the top-notch goalie protective gear you need to help keep you safe and mobile in the net. 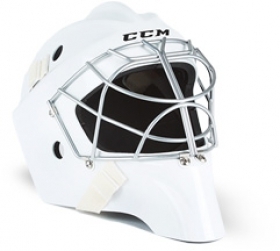 Our products are exactly the same items used by NHL goalies — custom manufactured for NHL goalies but in some cases were never used or were lightly used for a few games or practices. Whether you’re looking for a new blocker, glove, pads or pants, our large inventory connects you with a wide selection of items that will surely meet your needs. What’s more, we offer some of the most affordable prices on pro stock goalie equipment in the industry. Click through our online inventory below! No goalie should hit the ice without proper protection — and with Pro Stock Hockey’s selection of goalie protective equipment, finding that protection is easier and more affordable than ever. We list all of our pro stock goalie equipment online in an easy-to-navigate, accessible format so that you can find what you need quickly and have it shipped out right to your front door. 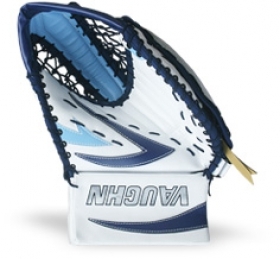 We only offer official pro stock equipment, the same equipment that has been or is currently being used by NHL goalies. When we receive a new shipment of goalie protective gear, we put it through a number of quality checks before we even consider offering them to you. As current and former players ourselves, we know how expensive goalie equipment can be – so we go the extra mile to ensure that you receive a high quality, durable product – every time. For the best in quality, selection and value, you need to shop at Pro Stock Hockey! We work directly with NHL equipment managers to purchase the highest quality, professional goalie equipment straight from the NHL locker rooms. At Pro Stock Hockey, we only offer equipment used by the pros, so you know you’re getting authentic pro gear with every purchase. We work with NHL teams from around the league to provide our customers with a variety of colors, styles and brands to choose from. 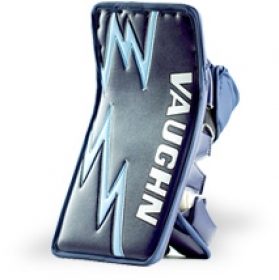 You may even find some items were made for your favorite NHL goalie! If we don’t have the exact item you’re looking for, we suggest you keep checking the website: our inventory is constantly changing as we get new shipments of pro stock gear. NHL goalies endure the toughest playing conditions in the world. They have to handle pucks clocking in at close to 100 miles per hour, absorb impacts from players crashing the net, and take hits from sticks and skates from every direction. It’s no wonder that NHL goalie protective gear is manufactured to the highest possible levels of quality and durability. In order to play at the top of their game, NHL goalies demand that their equipment offers the most ideal combination of protection and freedom of movement. Retail items just can’t match pro stock for quality and comfort. 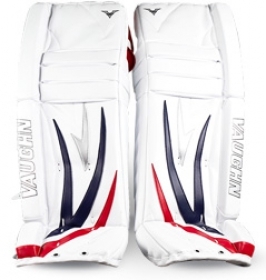 If you’re serious about defending your crease, its time you went with pro stock equipment. We don’t just carry one-size-fits-all goalie equipment; instead, we offer tons of options for blockers, gloves, pads and pants. Whether you have a specific brand in mind that you’re looking for or simply want to browse our selection, Pro Stock’s inventory of goalie protective gear will give you what you need to play like a pro. The Pro Stock Hockey staff includes amateur hockey players and major hockey enthusiasts. If you have a question about equipment or are simply seeking a second opinion, our customer service team is ready and willing to answer any question you toss our way. We’ll work with you to help select the perfect product to fit your play style and take the time to help you with any and all questions you may have along the way. Once you place your order, we’ll package it carefully to make sure it will withstand any shipping conditions, and get your order out the door and on its way to you as quickly as possible. Believe it or not, our prices at Pro Stock Hockey are often lower than what you’ll find in retail stores, pro shops and other online resources. 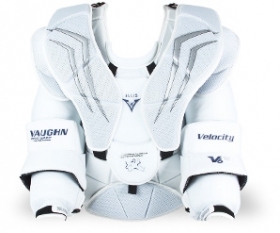 We buy our pro stock goalie gear in tremendous volume, and we pass the savings along to you! So if you’re looking for the best in quality and value, there’s no better choice than Pro Stock Hockey. Even with our low everyday prices, goalie gear has an impact on every goalie’s budget. Being players ourselves, we understand your pain. That’s why we go the extra mile to offer special promotions and deals to help reduce the cost of our goalie gear even further. Want to hear about special offers ahead of the crowd? Subscribe to our newsletter and connect with us on Facebook, Instagram, Twitter and Google Plus. We use these platforms to announce new promotions and new inventory arrivals so our followers never miss out on the pro stock equipment they’ve been searching for. Also, we love to talk about goalie gear, NHL highlights and the latest hockey news on social media, so when you connect, please join in on the conversation and let us know what you think! We love talking hockey as much as you do. As current and former players ourselves, we are just as passionate about the game as you are —that’s why we offer only the highest quality pro stock goalie equipment available. 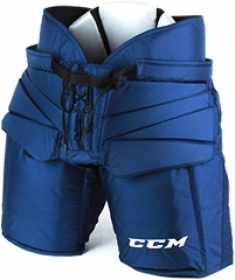 When you’re looking for protective goalie gear, come to us! Pro Stock Hockey has a wide selection and affordable prices to meet your needs.